I wanted to take this opportunity to thank you for the time I have spent volunteering for Global Medical Projects. It has been an amazing experience from start to finish and I am truly glad it has been something I have been able to be a part of, despite my lack of previous medical experience. The initial guidance I received from yourself was invaluable in helping me to decide on the best project and country to suit my needs. I can honestly say that after researching other companies, I believe what sets Global Medical Projects apart is the friendly, one to one guidance offered at the initial point of contact, which is neither too pushy nor too distant. My time spent working as a volunteer here in Guadalajara has been an amazing experience to be a part of and I’m truly grateful that despite lacking in experience I was able to have the opportunity to partake in this. From the first day I arrived at the Airport in Guadalajara I was met with gusto by Antonio at the Airport, his friendly and reassuring manner immediately put me at ease and was a great start to my experience here. Once we arrived at my accommodation I was met with equal enthusiasm by Josue and his partner Zuhey, who both had an approachable, friendly, but professional persona. The home I have been staying in is very grandiose and although slightly antiquated, it has beautiful old style architecture. When I was first shown my room I was pleasantly surprised as it exceeded any previous expectations I had, with a comfortable double bed, adjoining shower and a TV! The relationship that I have built with my host is one of the best parts of my stay and is one which I hope will last a lifetime. We have become great friends and she has really welcomed me into her life and to her family. 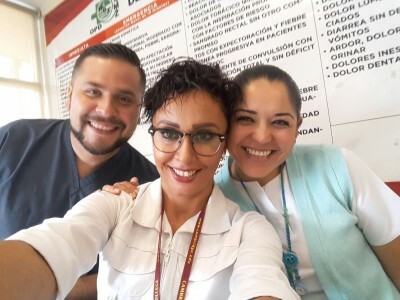 I was initially quite apprehensive about starting at the hospital without any previous medical experience however it really helped re-assure me having Josue and Ariel there to settle me in and meet me at the Hospital to introduce me. I needn’t have worried as everyone has been so inclusive and friendly on each department that I’ve worked on in the Hospital. I do think that speaking a reasonable level of Spanish has helped me build closer relationships with staff and enabled me to integrate at a quicker pace into the team. I was surprised how much I was able to get involved in the hospital despite my lack of previous experience. During my time there I was able to work on an out-patients department where adults, children and babies come to have their height and weight taken, temperature gauged and blood pressure measured. I learnt how to take the blood pressure, which for me was a first! This department was great for my Spanish, as it enabled me to practice this in a real live work setting. I also spent time working in the emergency ward, which was by far my favourite ward, as there was a good level of banter in which I was included, so I was quickly able to fit into the team. I was able to learn how to put a cannula in, along with taking stiches out which again were both firsts for me. I also had the good fortune to meet some very friendly doctors along the way who invited me to see operations which included the removal of a uterus, the removal of an ovarian cyst, an investigation into a damaged urethra, the removal of scar tissue and cysts. 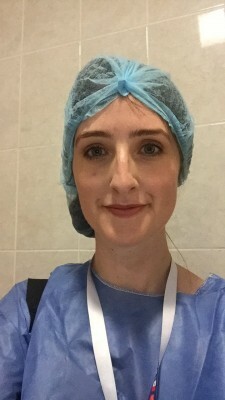 I was also able to see both a caesarean and a natural birth and help out on the mother and baby unit so I was able to experience the other side of the labour ward and see first-hand the level of care given to young Mums following the birth of their child. I took part in a practical CPR session to learn how to resuscitate someone and was able to sit in on a very informative discussion about the importance of giving blood. The final part of my volunteer experience has been working alongside the Red Cross ambulance staff. I was particularly nervous going into this situation without any previous medical experience especially when our first call involved us flying out the door and following an urban rescue van at about 90 miles an hour. I had goose bumps on my arms, my heart was in my chest and I didn’t have the nerve to ask what we had been called out to, as I was extremely conscious that I didn’t have any of the capabilities or knowledge to help them. However, once again I needn’t have worried as within a matter of a couple of hours I began to feel like one of the team. I got to partake in covering a local sporting event and some of the call outs involved a car accident, motorbike accident and a deep cut to the head by a possible machete. My overall experience of Global Medical Projects has been one of extreme satisfaction. From the minute I arrived I felt immediately relaxed with everyone that I have been put in contact with on the volunteer projects and both the staff and hospital employees really went out of their way to accommodate me in every way possible. The whole set up is extremely well organised and the support given by the team in Guadalajara is second to none and I always felt that my needs were a priority and I felt I could ask for help or guidance at any time. I can really sense that Ariel eats sleeps and breaths Global Medical Projects and I can see how important it is to him that all the volunteers have a good experience and all their needs are met. 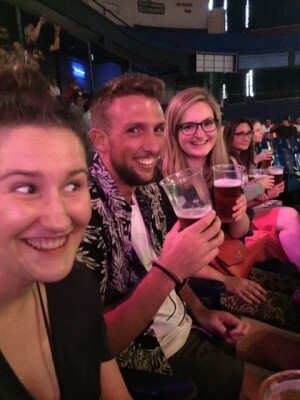 I would truly recommend anyone who is thinking about getting involved in a placement to just go ahead and do it! For me it has been a truly remarkable and potentially a life changing experience. 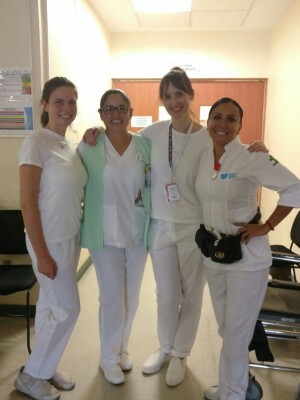 It has enabled me to gain some valuable experience in a medical setting, improve my Spanish and to build relationships with people which I hope will last a life time. Thank you once again for this experience.